PARTNER NEWS: Scottish commuters using public transport services operated by Lothian Buses will soon be able to pay for their journeys using a host card emulation (HCE) based mobile payment service powered by Nevis Technologies, the joint venture between Scotland’s largest regional transport group Strathclyde Partnership for Transport (SPT) and technology provider Rambus. “Nevis Technologies will deliver a platform of interoperable ticketing products that can be integrated with Lothian Buses’ existing infrastructure to provide a foundation that enables new ticketing technologies for its passengers,” Nevis Technologies says. Deployment of the service is expected to “begin this year” and will be built using the same solution powering the HCE ticketing pilot taking place across the Glasgow Subway. Nevis Technologies today announced that it will deliver its smart ticketing solutions to Lothian Buses, the UK’s largest publicly owned bus company. 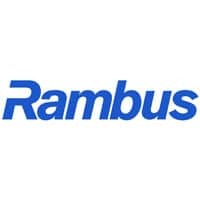 Nevis Technologies, the joint venture company between Rambus, a leader in smart technology for transportation, and Strathclyde Partnership for Transport (SPT), Scotland’s largest regional transport partnership, serves as a delivery agent for smart integrated ticketing in Scotland. Lothian Buses will utilize the same solution used successfully by the Glasgow Subway, Abellio ScotRail and McGill’s, which is based on ITSO, the UK national open standard for smart ticketing. Rambus (NASDAQ:RMBS) creates innovative hardware and software technologies, driving advancements from the data center to the mobile edge. Our interoperable smart ticketing products are at the cutting edge of transport ticketing technology and include a suite of ITSO compliant solutions, Host Card Emulation (HCE), Account Based Ticketing (ABT), NFC mobile apps and data analytics, all underpinned by robust security. Our chips, customizable IP cores, architecture licenses, tools, services, software, training and innovations improve the competitive advantage of our customers. We collaborate with the industry, partnering with leading ASIC and SoC designers, foundries, IP developers, EDA companies and validation labs. Our products are integrated into tens of billions of devices and systems, powering and securing diverse applications, including Big Data, Internet of Things (IoT), mobile, consumer and media platforms. At Rambus, we are makers of better. For more information, visit rambus.com.